When I picked up We Were Liars I had no idea what to expect, and that is by far the best way to approach this book! 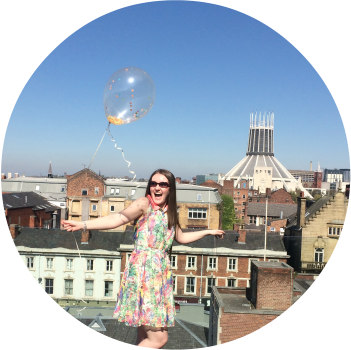 How spoiler free can a review be? Let’s find out! We Were Liars follows the summers a well known, well off family spend on their private little island, surrounded by lush green lawns, beaches, picnics packed by the help and nights that seem endless. Torn by their parents relationships with each other and their standing in society, the teens want something more, something different, they want to make a stand and be more than their parents ever could be. One summer they put the wheels in motion. It’s your not so typical coming of age tale with a twist. At times it’s light and fluffy and unbearable teen angsty, but more often than not it is dark and painful, taking me back to my own teenage years, and probably yours too, where we struggled to make our mark on the world and decide just who we wanted to be. The novel itself is beautifully written, Lockhart does an amazing job of capturing the sounds of everything in a truly evocative way. She seems to get teenagers better than most teen dramas I’ve read. She also seems to get the adults too. It was an interesting play on the stereotypes when the adults acted more like the teens and the teens appeared to be the more knowledgeable grown ups. That, I really liked. From the start you get the feeling there is something very myserious about this book, something’s not quite right, and as our main character Cadence tries to recover lost memories from two summers ago, the revolution, the accident and the big secret all finally come to light in an unexpected ending (note, don’t do what I did and finish this book in public!). Ask me how it ends and I will lie. 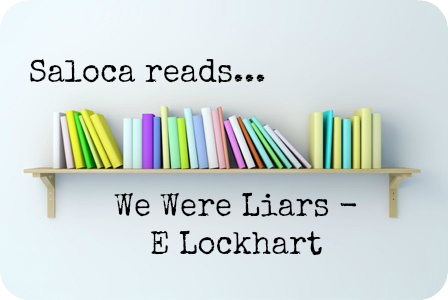 Have you read We Were Liars? Don’t tell me, lie to me in the comments below!